Welcome HOME to the only cutlery museum in the Western Hemisphere not affiliated with a manufacturer or retailer. Edged tools cleared our forests, fed and clothed our pioneers, won and continue to preserve our freedoms. In this museum they will forever be remembered and revered as tools of history. This museum celebrates the old time definition of Cutlery which meant "Anything that has a cutting edge on it". Edged Tool Companies were common and widely successful. Our cutlery history, from pre Columbian through todays high art examples, have been sporadically documented and have long been taken for granted. 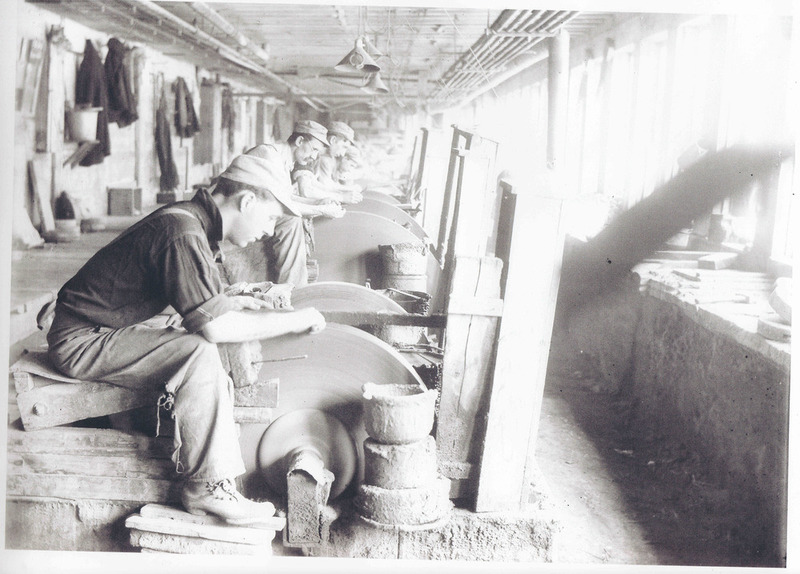 Step inside our museum, and this website, and learn the fascinating stories of how cutlery has been an important component of our American history. How edged tools were created, used, and how they made a real difference throughout the Americas is what this museum is about. This museum is intended to be both a repository and an active educational institution. NBC recently visited the American Museum of Cutlery. Take a brief peek inside for a glimpse of a sampling of our collection and examples of what we are interested in acquiring and preserving. This photo exemplifies one great story. A local (to Western New York) cutlery company was the only cutlery company in the country to exhibit at the 1901 Pan-Am Exhibition. 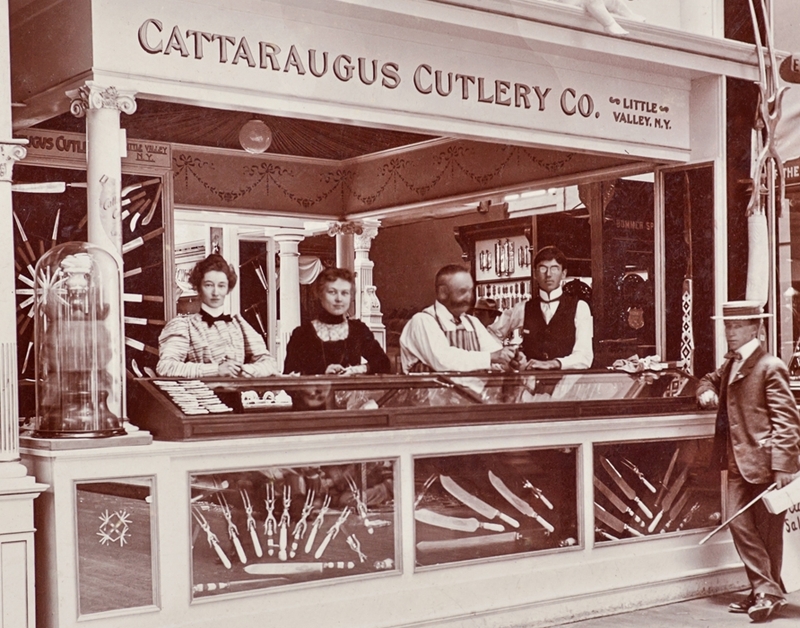 The Cattaraugus Cutlery Company, Little Valley, New York made quite a splash at this world class event. J.B.F. Champlin (shown here with the mustache) was the proud founder of Cattaraugus Cutlery Company and responsible for dozens of companies setting up shop in Western New York and Northwestern Pennsylvania. Our museum has several striking and noteworthy examples from that famous exhibition which are visible in the above photo, including one five foot long example with well over three hundred inlays.